With Gladkill on a new release tear on Soundcloud, I wanted to bring it back to one of my absolute favorite pieces by the West Coast star. His Twilight Galaxy remix was a large part of my 2011, and I was reminded of it recently, which sent me into a week or two of listening to it on repeat again as well. This is one of those tracks that crawls into your mind and forces you to listen to it on multiple different speaker systems/headphones over the course of your day. This is lovestep in the truest sense of the word and Gladkill does that stuff better than most. Call it a throwback, even though he hasn’t quit since. He just released a new LP of his tracks from 2012-2014, so hit that up if you need more. 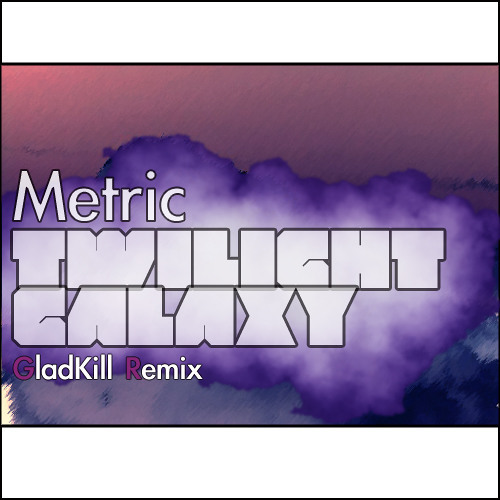 This entry was posted in Midnight Music and tagged #tbt, Gladkill, Metric, soundcloud. Bookmark the permalink.